Dr. Georgios Petasis is a research associate in the Institute of Informatics and Telecommunications at NCSR “Demokritos”, in Athens, Greece. He holds a PhD in Computer Science from University of Athens on the topic of machine learning for natural language processing. His research interests lie in the areas of natural language processing, knowledge representation and machine learning, including information extraction, ontology learning, linguistic resources, grammatical inference, speech synthesis and natural language processing infrastructures. 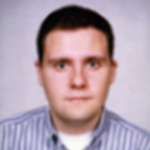 He is the author of the Ellogon natural language engineering platform. He is a member of the programme committees of several international conferences and he has been involved in more than 15 European and national research projects. Being a visiting professor at University of Patras, he has taught both undergraduate and postgraduate courses. Finally he is co-founder of “Intellitech”, a Greek company specialising in natural language processing.